If you’re about to move, you’re probably curious how to make your next place more organized. With a few of these tips, you will not have to spend a fortune on your organizational methods. That’s why we love the dollar store – with a few quick tips you can take $1 items and make them work for you in unexpected ways. Here are a few of our favorites. You can take any frame big or small, put wrapping paper inside of it for a splash of color and voila! 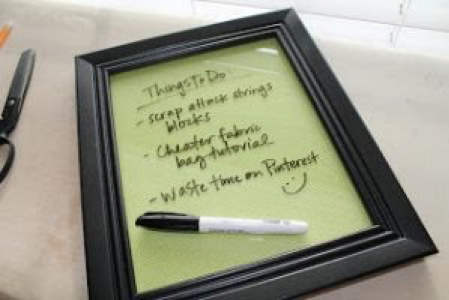 A dry erase board! Buy a few dry erase markers from the dollar store, so you can save money on the markers. You can even change out the background for different season or a change of décor! A shoe organizer is a multi-tool when organizing your home. You can use a clear over-the-door organizer for things like your craft or linen closet. You can use the pockets for things like curlers, blow dryers, brushes or kids craft supplies. 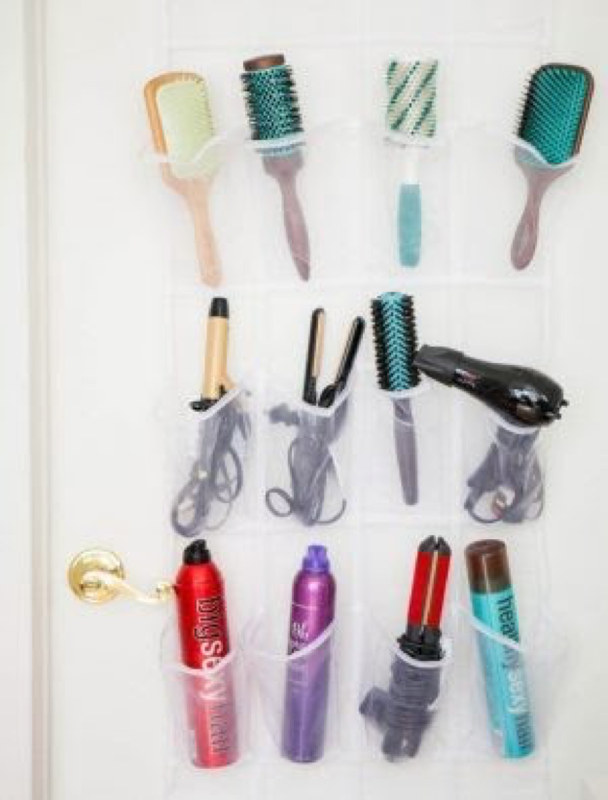 Use desk organizers in your bathroom to organize your cosmetics in your drawers. They can work together like a puzzle when you have square and rectangular options. 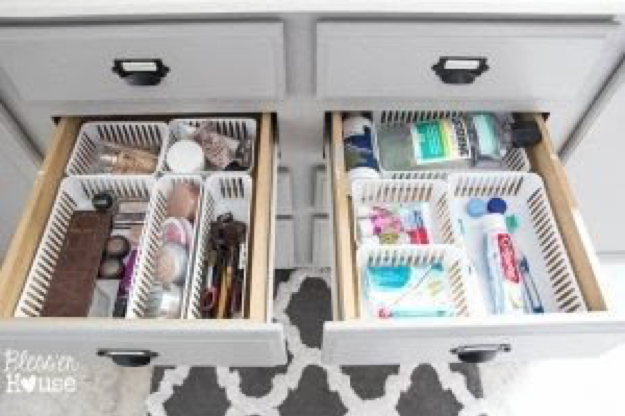 Check out how this one blogger has utilized these plastic bins. If you don’t like the bright colors of the plastic storage bins, you can always spray paint them a neutral or metallic color to give them a more vintage look! What a creative use for pans! 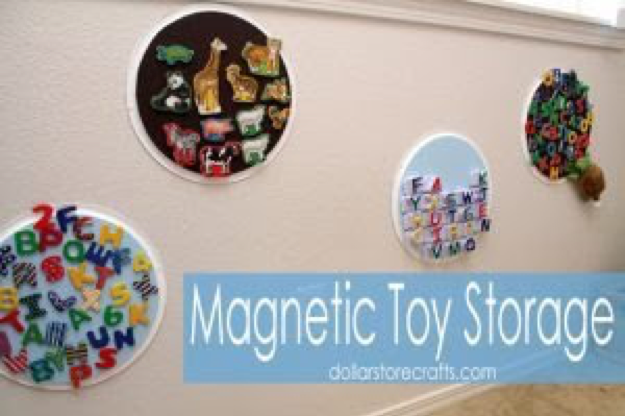 You can 3M tape them to your children’s walls and then organize your magnets in a fun and cute way. Consider even painting them for an extra pop of color! Enjoy the process of finding creative and budget-friendly ways to organize your new home. And, know – our team at George is always here to answer any questions that you may have.